From a book by Barbara Feltquate and illustrated by Tom Post. To order this book and learn more about it, please visit the Kiddish Yiddish website. From Bagel to Shalom, this children's glossary of Jewish words in rhyme follows three generations of a family through a year of holidays, rituals and traditions. Poems and illustrations tell stories in the loving way grandparents share memories with their offspring, while encouraging further discussion about the rich contribution of Hebrew and Yiddish to our language and society. Ideal for parents, grandparents, teachers and librarians that take pleasure in reading with children and exploring the ABCs of Jewish culture in an evocative, fun-filled way. The Museum of Family History welcomes Ms. Feltquate's book and offers it to you for use via the Internet. Feel free to view this book here online either by yourself or with a child or grandchild. Recite each rhyme aloud or in unison; use this opportunity to tell your family members of the younger generation about your Jewish life, about how you might have honored the Jewish traditions within your own family and how you and your siblings and parents and grandparents celebrated the holidays. Using the book in this way is a great way to stimulate conversation and enhance the intergenerational communication between your family members. 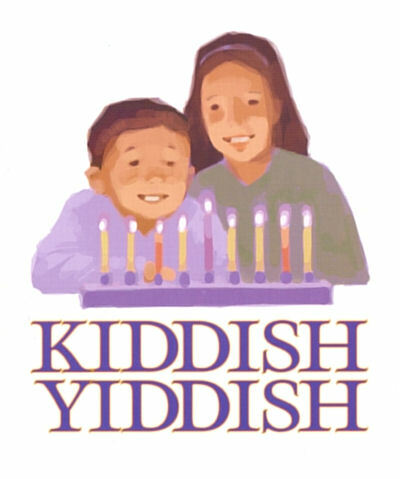 To begin reading "Kiddish Yiddish," please click here. The book is being presented to you as a PowerPoint slide presentation. To advance to the next slide, just click the forward arrow on your computer's keyboard or simply left-click on the slide. If for some reason you can't play the slide show because you haven't the PowerPoint Viewer or its equivalent, click here for a free download. Enjoy!